Looks like someone at Nissan has some explaining to do. 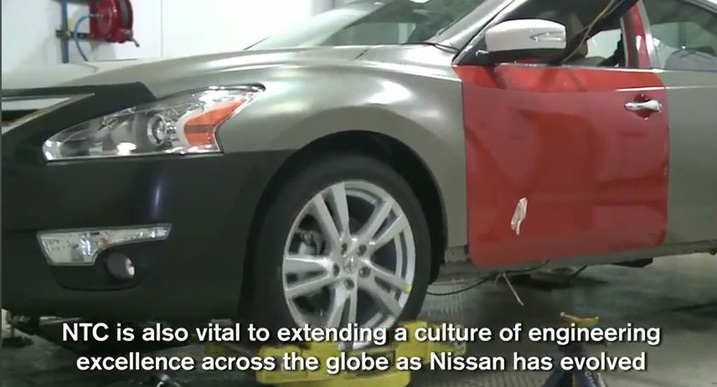 In a recent promotional video released by Nissan Japan, the company’s mid-size sedan was partially revealed ahead of schedule. 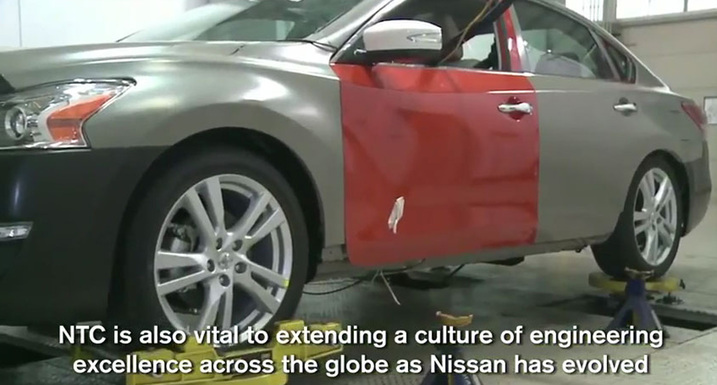 Nissan has since axed the link to the video, as expected, but the quick folks at Inside Line were able to snap a few screen shots. In the pic we can see that the new design borrows heavily from various members of the family including Maxima and 370Z with similar headlights and a larger grille akin to that of the 2013 Pathfinder. That’s not the only similarity to the Pathfinder too as the character lines are also similar. The swoopy lines also mimick those found on the newly redesigned Infiniti M.
The redesigned Altima can’t come soon enough. The latest offerings from its competition in the mid-size segment is really starting to hear up with The new Ford Fusion, redesigned Toyota Camry, Volkswagen Passat and refreshed Chevrolet Malibu on the way. Click past the jump for another pic.